D was convicted, on his own plea, of one charge of trafficking in a dangerous drug, namely 22.72 g of heroin. The District Court judge noted D had 10 previous convictions spread over seven court appearances during the past 14 years. Two of the previous convictions were for possession of dangerous drugs, in respect of which he had been sent to Drug Addiction Treatment Centre. The DC judge did not appear to find any aggravating features and said he saw “no reason to depart from the guidelines as set down by the higher court”. He sentenced D to 53 months imprisonment after a 1/3 discount for his guilty plea. 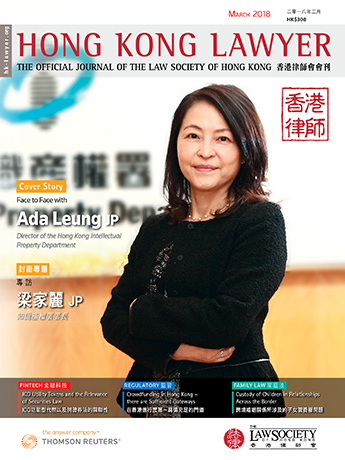 D appealed against sentence on the ground that the DC judge wrongly adopted a starting point of 80 months’ imprisonment, when the appropriate sentence after trial should have been, on an arithmetical basis, no more than 72 months imprisonment under the relevant guidelines in R v. Lau Tak Ming & Others  2 HKLR 370. It was agreed by the parties that a strict application of sentencing guidelines would have produced a starting point of just under 72 months imprisonment. The DC judge did not explain why he adopted a much higher starting point of 80 months’ imprisonment. The Court of Appeal considered this a significant increase (11.97 percent) of what would have been a strict arithmetical application of the relevant guidelines to the quantity concerned. Whereas the CA in HKSAR v. Smit Hector Edward  1 HKLRD 287 has said that a departure from a strict arithmetical starting point, whilst not by itself objectionable, should be explained where it is significant, the DC Judge did not say he found any aggravating features to justify the departure in this case. The general principle, that a sentence may be enhanced for previous convictions of the same or a similar kind, is best exemplified where offences of dishonesty, sexual offences or offences of violence are concerned. However, the CA found it difficult in treating previous convictions for simple possession of dangerous drugs as aggravating features for a sentence for trafficking. The legislature and the courts have recognised that the offences of simple possession and trafficking are qualitatively very different offences calling for very different levels of punishment and/or types of sentence. In any event, it was not strictly necessary for the CA to express a concluded view on whether, in the normal course, previous convictions for simple possession can aggravate a sentence for trafficking. This was because not only did the DC judge not appear to consider there were any aggravating features, but D’s two previous convictions for which he was sent to Drug Addiction Treatment Centre, did not justify an enhancement of his sentence for trafficking.